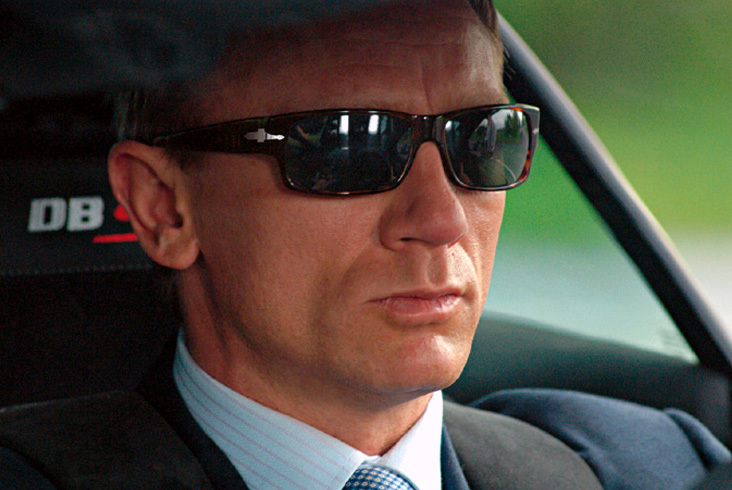 In Casino Royale, Daniel Craig as James Bond wears two pairs of Persol frames during the film. At the start of the plot, Bond wears a Persol metal frame, the Persol 2244. In the second part of the story after experiencing a number of adventures, James changes to the Persol 2720. The link between Persol and James Bond was celebrated by a Limited Edition Persol 2720. 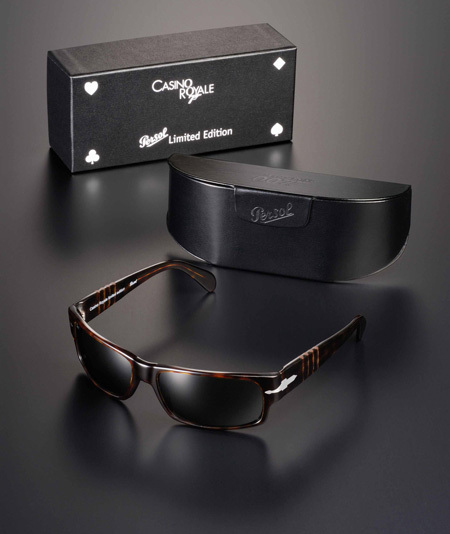 This Limited Edition (Persol style 2720 color code 24/31) was personalized by the 'Casino Royale Limited Edition' signature on the temple, hold in a special case featuring James Bond 007 logo, all contained in a precious black box featuring the Casino Royale theme and logo. This was available in 200 pieces only and exclusively sold at Sunglasshut (US market) and at the Persol store in Los Angeles. The regular version of these glasses are still available online and worldwide in the finest optical shops and department stores, and come in a special box with embossed 007 logo. There is only one version that is the correct one (as seen in the movie), and that is the Persol 2720 with color code 24/31 (Turtle frame and green lenses), but some people prefer the black version with grey lenses (color code 95/48). Both are still available at several online stores, some of which are listed below. The glasses are available with and without Polarized glasses, this can make quite a difference in price. There are two sizes of this pair available, so be sure to order the correct size, or visit your local glasses centre and ask them to adjust the width of the temples to get that perfect fit.